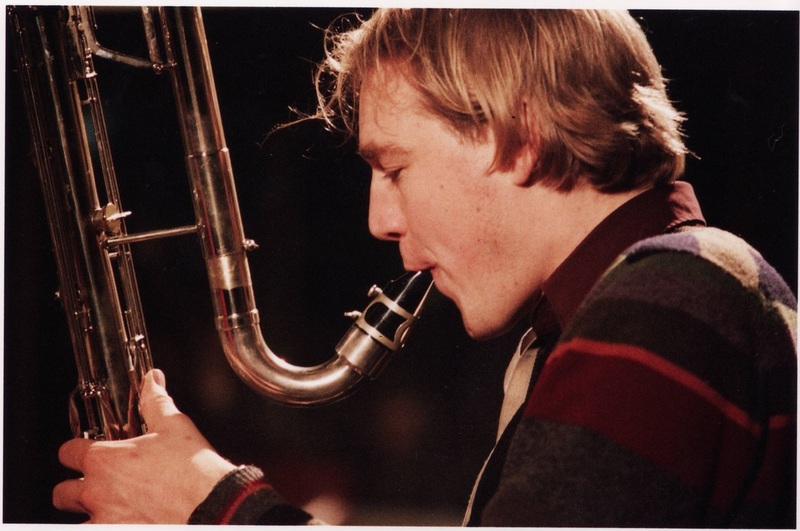 like a birdsong interrupting an argument"
Playing bass clarinet, saxophones, and other rarified woodwind instruments Chris Cundy has a particular interest in combined aspects of improvisation and composition. He is a composer and performer active in pop music as well as more marginalised areas of creative music. ​He has toured internationally as a solo artist, and longstanding collaborations have included ​Timber Timbre, Cold Specks, Guillemots, Fyfe Dangerfield, Little Annie, Devon Sproule, Longstone, and Kristin McClement. He appears on over seventy commercial recordings. Growing up in the Medway towns he became friends with artist and musician Billy Childish who showed him the exploits of homemade music-making at an early age. This helped to instil a long lasting DIY approach and by the time he was 12 Chris had already started out as a street busker. After hearing the Eric Dolphy Memorial Album he took up the bass clarinet. He is self-taught. Also a visual artist, Chris studied painting at Cheltenham art college. During this period he started to explore improvised music in projects such as Grace & Delete - with painter and electronics musician James Dunn. He also began to establish self-developed playing techniques such as multi-phonics, circular breathing, micro tonality and generally speaking a more tactile approach to the instrument. This has led him to working with composers including Thanos Chrysakis, and Pete M Wyer. At Cheltenham he also met songwriter Fyfe Dangerfield who he has continued to collaborate with on a number of occasions since - most notably as additional saxophonist in the Mercury Prize nominated band Guillemots. He has also been involved with music for theatre, and recently worked with composer Jon Nicholls on music for Florian Zellar's The Mother starring Gina McKee. In 2018 he was resident at Shakespeare's Globe performing music by Theo Vidgen for Alls Well That Ends Well. And he has also worked on productions with NoFit State Circus. One off sessions have involved working with Moby, The Blind Boys of Alabama, Bonnie 'Prince' Billy, Lol Coxhill, Vieux Farka Touré, Fatoumata Diawara, Alexander Hawkins, and Lisa Hannigan.